[post_content] => Homeopaths have reasons to be cheerful about the future despite suffering a very difficult 2018, Society chair Judith Kiely told members at the AGM in Oxford. Over the last 12 months, homeopaths could be forgiven for thinking they were under attack from the press, sceptics and regulatory bodies while a perceived declining interest in complementary medicine added to their woes, she said. “The (lost) fight to prevent the decommissioning of homeopathic medicines on the NHS was more than just an issue of funds, it was symbolic of a wider fight to preserve a relationship with the NHS,” said Judith (pictured), adding that the governments of Australia, Spain and the US launched unwarranted attacks on homeopathy. But Judith said the fightback had begun in earnest and three reports gave cause for hope, beginning with a paper from the Secretary of State for Health and Social Care that appeared to promote concepts that had been the bedrock of homeopathy for many years such as emphasising a holistic approach to health and placing more emphasis on prevention and wellbeing. “The Charity Commission’s report into registering CAM organisations did not prove to be toxic for our charities. 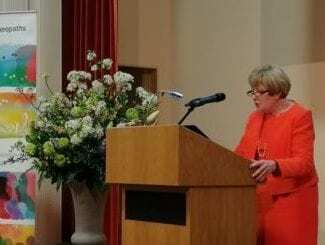 And the Parliamentary Group for Integrated Health’s Putting the Pieces Together report offered a real clarion call and manifesto for getting homeopathy into mainstream healthcare,” she told the audience at Lady Margaret Hall. The Society itself was also ‘on the up’, Judith added, with encouraging numbers of students signing up to accredited colleges and membership starting to slowly increase again after several difficult years. Judith added that social media was proving to be an effective communication medium and that the Society’s website, newsletter and New Homeopathy magazine were proving popular with members. New services such as the e-learning modules and community clinics were also having a positive effect. 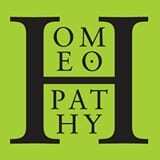 “I know that it is still tough running a successful practice, but the revival of the Society is clearly symbolic of a rise in confidence within the homeopathic profession and the more members we have the more we can offer support, especially to those in the early years,” she concluded. Homeopaths have reasons to be cheerful about the future despite suffering a very difficult 2018, Society chair Judith Kiely told members at the AGM in Oxford.